The Holden F5 Steam Locomotive Trust offers a selection of products produced exclusively for us. 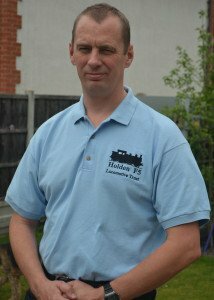 We are delighted to have been able to work with artists Eddy Dodwell and Wrenford Thatcher, both of whom have produced beautiful works for us to use on our merchandise. 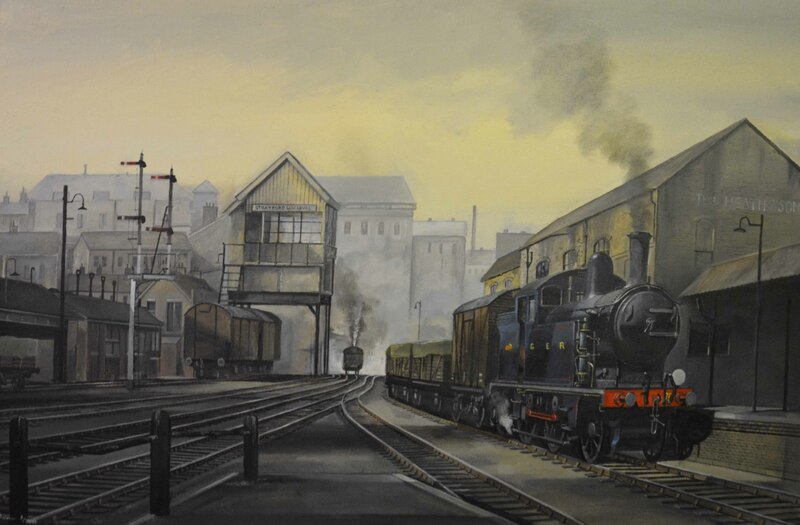 Wrenford Thatcher’s artwork depicts GER 789 where she would have been seen at various points during her working life. These high-quality prints are limited edition, and come mounted, numbered, and signed by Wrenford himself. Dimensions: 21 cm x 15cm (approx). 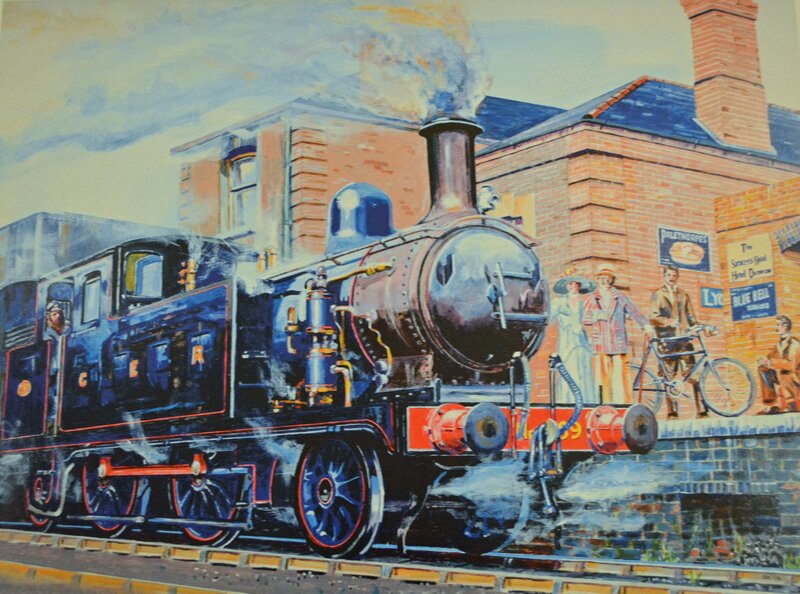 Depicting GER 789 at Great Dunmow station, Eddy Dodwell’s artwork emits a Great Eastern atmosphere, showcasing how we hope GER 789 will appear post-completion. Available as a mounted print, postcard, or fridge magnet. Please enquire for prices. Another of Eddy Dodwell’s detailed pieces, capturing GER 789 in her BR identity (67218) at North Weald station as it is seen today, in the company of two of the EOR’s diesel fleet, which represent examples of locomotives based at Stratford depot in the post-steam era. 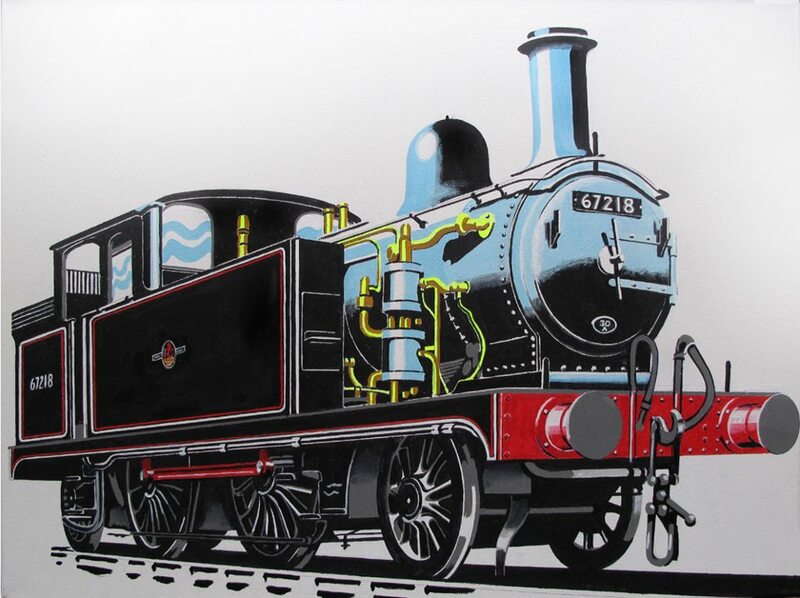 With the look and style of vintage cigarette art cards, Eddy Dodwell captures 67218 in a profile pose, almost ex-works in condition, and highlighting the intricate pipework around the Westinghouse pump mounted on the side of the boiler. In latter years, 67218 was often seen alongside then-modern underground stock at Epping, prior to the withdrawal of steam. 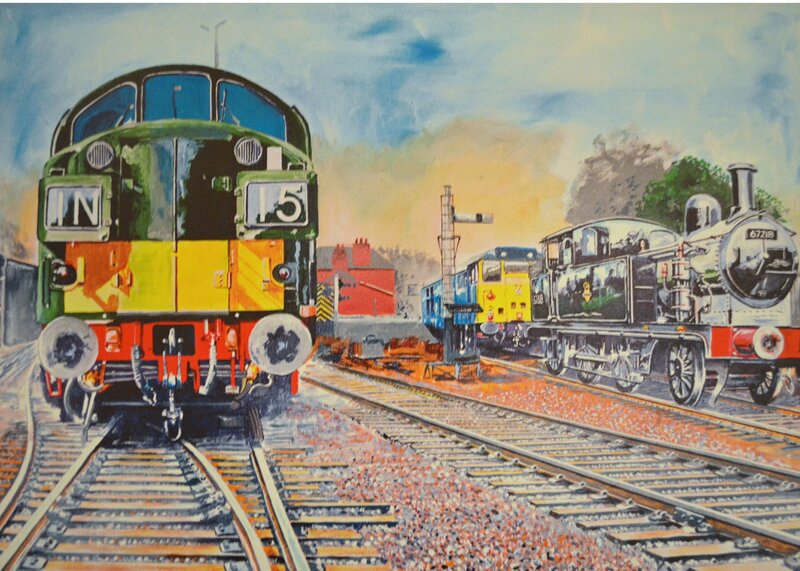 Eddy Dodwell’s piece captures one such moment, with the F5 looking suitably grubby as they came to be in their final years on the branch. 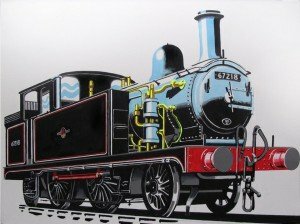 Eddy Dodwell has also produced a set of artwork featuring GER 789 in three of the liveries she carried during her working life. 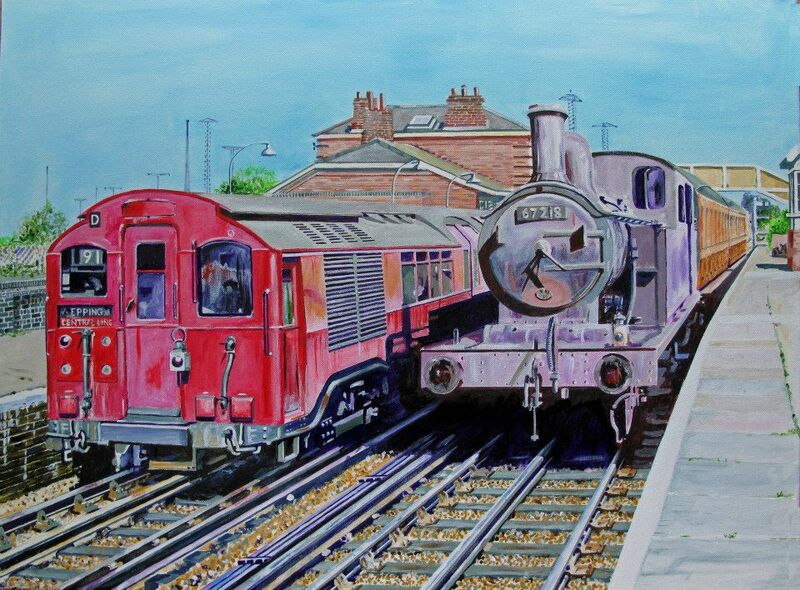 These are offered as postcards or fridge magnets, but please contact us for availability and prices. 100% cotton-based, Holden F5 shirts are available in small, medium, large, extra large and grande. Most of our products, and sometimes second hand goods, are available from our publicity stand at events (subject to availability; credit and debit cards (excepting American Express) accepted), and most are available for mail order; please make cheques payable to “The Holden F5 Steam Locomotive Trust” (sorry – card payments cannot presently be taken for mail order.) 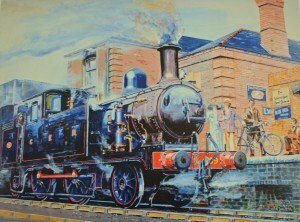 Merchandise featuring artwork by Eddy Dodwell can also be purchased from the shops at Ongar and North Weald stations on the Epping Ongar Railway in Essex.